A d&b audiotechnik Y8 line array system has been installed in a left-centre-right configuration with theatre productions in mind. This line array system is supported by d&b audiotechnik E-series outfillls, which delivers a clear, balanced sound for every seat in the theatre. The Y8 system that is in place can be easily replaced by simply placing it on dollies, too, which makes room for the permanently-installed Renkus-Heinz Iconyx Live system. This expansive system from Renkus-Heinz extends throughout all public and back of house areas, including the venue’s black box theatre and, of course, the main auditorium. Using the active beam steering technology, the IC Live system addresses the challenge of covering each seat within the theatre evenly, which makes it perfect for speech and music reinforcement for congress, presentation and event situations. Two permanently installed IC Live arrays are positioned to the left and right of the stage, both comprising a single ICL-F-DUAL-RN and single ICL-F-RN. The columns provide all-important support. 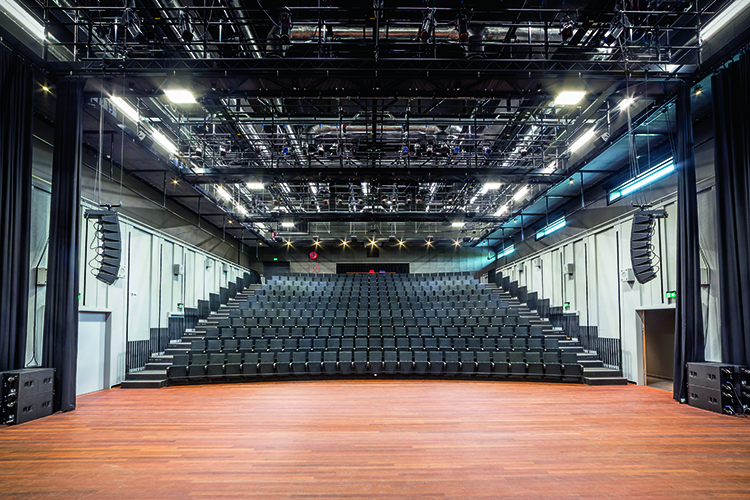 Also, in the black box theatre, which has a retractable seating system to allow for standing guests and an increased capacity, a d&b audiotechnik T-series line array system is used with flexible grid systems, which allows the clusters to be installed in different configurations to support the multitude of different seating – and standing – arrangements. Plus, d&b audiotechnik MAX-II floor monitors, powered by D20 amplifiers, are used in all venues, too. The theatre’s control system includes DiGiCo consoles, with an SD8 and SD9 console used, along with D2 I/O racks, which can be used either separately or combined, as needed. With the DiGiCo consoles in place, the venue has a flexible, integrated system to deliver an outstanding performance for every production or event. The DiGiCo consoles are connected to Lake LM44 processors, which connect to both Powersoft and d&b amplifiers to power the audio system. Engineers that visit the Atlas Theatre can set their own equalisation and delays via WiFi on a laptop. Signal routing can be patched in software and in hardware to optimise workflow and efficiency. For the Atlas Theatre’s paging and stage monitoring system, there are over 200 Martin Audio C48T, CDD5 and CD6 loudspeakers throughout the entire building. To power the system, Symetrix Radial processors send signals to Powersoft Ottocanalli 100V amplifiers, which are ideal for multi-zone applications in medium-to-large installs, such as this one at Atlas Theatre. The eight-channel amplifiers support any combination of lo-Z loudspeakers, mono-bridgeable channel pairs and 70V/100V Hi-Z distributed lines with no need for output step-up transformers. In almost all of the rooms within the building, there are Symetrix control panels for local volume control, while in selected rooms, source selection is available to listen to the main auditorium, the black box theatre or a local source. The Symetrix systems’ 40 input/88 output matrix also routes intercom, as well as movie and theatre surround effects through additional Symetrix Radius processors that perform the processing for the flexible acoustic reverb/surround system. 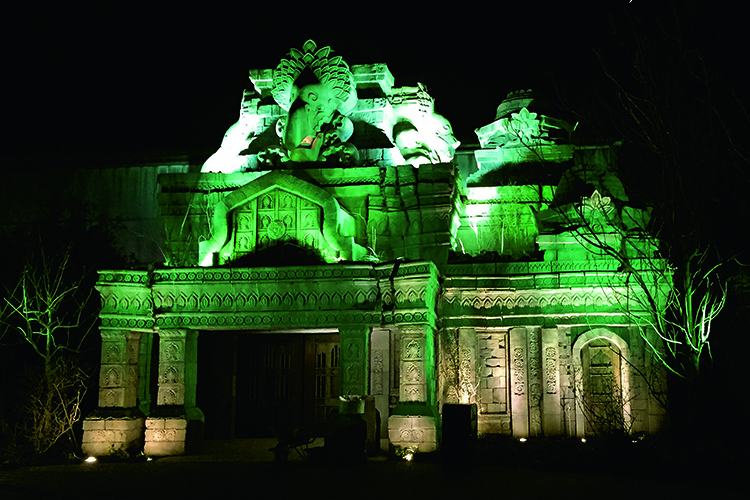 An important aspect of this project was the need for dynamic, decorative lighting that enhanced each attraction within the zoo. To achieve this, Jora Entertainment installed over 170 Level Q7 IP LED Par fixtures from Elation Professional. 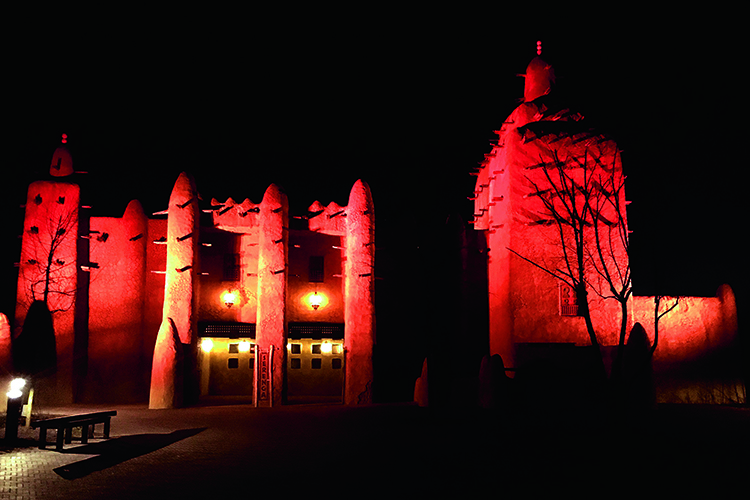 The colour-changing fixtures uplight buildings and other objects on display in a whole range of shades to complement and support the planned atmosphere for each theme. Foliage areas are also accentuated by coloured light from the Level Q7 IP LED Pars, which are all-weather IP65 rated and house seven x 15W RGBW LEDs for full colour mixing. The Elation Professional fixtures are used for attractions indoors, too, highlighting their versatility. In total, there are three different areas at Wildlands Zoo – Jungola, Serenga and Nortica – all of which come with their own separate themes, offering a unique adventure with animals, rides and attractions. In Jungola area, where the Jungle Jim Show takes place, compact Elation Rayzor Q7 LED moving heads are used during the show for a variety of dynamic visuals from colour washes and chase effects, through to sharp beam looks. The RGBW Rayzor Q7’s are also used at the Jungle Jim Show area to highlight the surrounding décor. 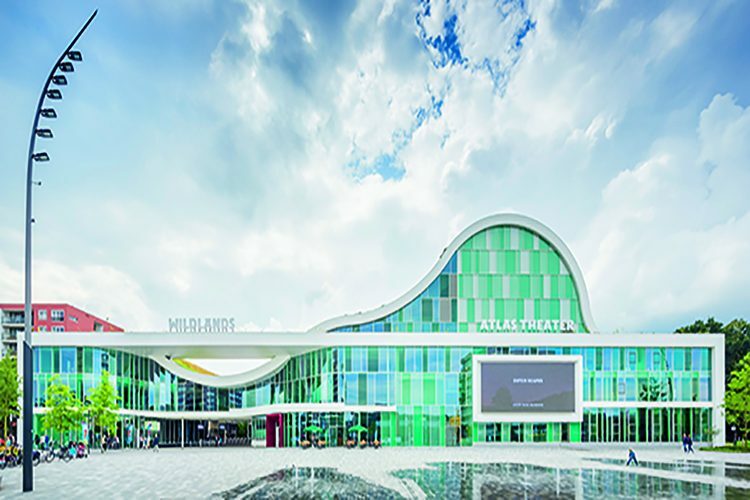 With the install hosting a diverse range of events, the audio technology that went into the building had to be versatile and, of course, provide an excellent sound quality, whether it’s a theatre production or business conference – this led to extensive work. Since its completion, both the Atlas Theatre and Wildlands Zoo have been praised for their design and facilities, making them the go-to attractions in Emmen. A huge part of that is the initial plan that looked to combine culture and nature and, with the help of the impressive technology that has been installed throughout, this has certainly been achieved with great success.